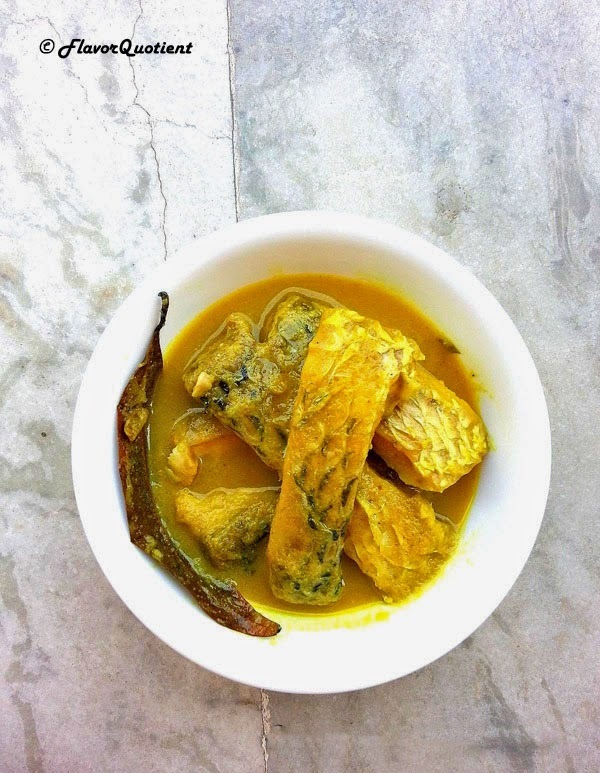 An authentic fish curry with rich and creamy yogurt sauce which is perfect for a lavish weekend meal! A sudden trip to hometown can bring a lot of changes to our life; even in other’s life too. It can make you a witness of some events whose importance was unknown to you even a while back and moreover you never even imagined to be a part of it, though you might be aware that this event was scheduled to happen when it had to happen. May be I am sounding too complicated. Yeah, sure I am. I am little emotional today and may get carried away with memories. Please excuse me for that. This month my mom retired from her service and I happened to be there at her farewell: totally unplanned. The event may seem to be very simple to many of you, but to me it was not. After 7 years of my job, I can understand what ‘retirement’ actually means. Though I feel quite exhausted at times when it becomes extremely difficult to balance both professional and personal life, but I know I can’t quit for good. My mom worked for more than 37 years in the same organization! That’s just unbelievable to me! And with that she also managed to invest enough time to our childhood! She started working at the age of 21 and now suddenly all those official duties came to an end. How can people cope with this sudden emptiness? How will I cope with it in future? Honestly, I am scared because I know I can’t sit idle for long! Or may be time will eventually bring a change inside me and I will desperately long for retirement. I don’t know. What has to happen will happen one day. But for now, I was thinking about my mom and her service life. She was working for a nationalized bank and has met thousands of people from different walks of life which had helped her gather diverse experience. I have grown up listening to all those stories. I had always seen her working round the clock; but strangely enough she was never too ambitious. After I began my career, I started wondering why she didn’t chase after her career growth when she totally deserved it. But the simple reason was that she only wanted to give us all her time, care and attention. And now both me and my brother staying far away from her, I can clearly imagine how she must be feeling about her retirement. Retirement doesn’t only mean permanent vacation; it also empties a lot of our time in a day. Sometimes it becomes quite a struggle to fill up that emptiness. All this I am saying from my observation, not experience, off course! So I decided to be with her at this moment of a significant change and give her some joyous memories to cherish in future. Few years back, she must have struggled managing the time for both personal and professional life efficiently which I can understand after working for quite some time now. But now she will have ample time throughout the day. I bet she will always remember that I was there on her last day at work even though no one ever expected it. I had 5 days of joyful memories and now back to my workplace. So this sudden unplanned trip made me realize the significance of some of the indispensable events of life which we have to live with. 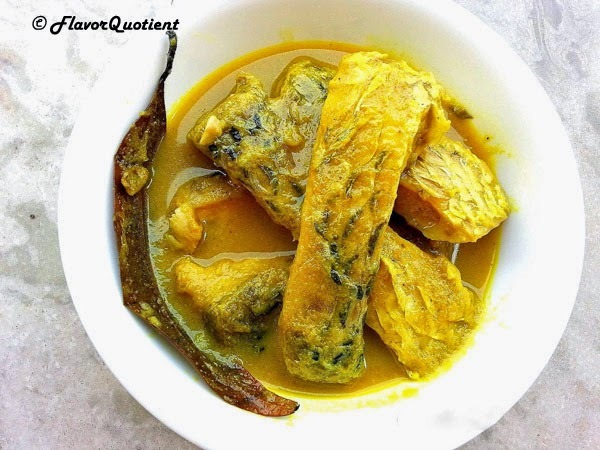 I will leave you with this thought here and share my good old recipe of ‘Doi Machh’ – fish (Catla) cooked in aromatic yogurt sauce. My little way of making my mom n dad happy and saying a ‘Thank you’ for everything! Wash the fish steaks well. Keep them in a large bowl. Mix yogurt, turmeric powder, ginger paste, grated garlic and half teaspoon salt to make a thick marinade. Add it to the fish steaks and coat all the pieces well. Marinate for 2 hours or at least 1 hour. Make a paste of the onions. In a frying pan, heat oil. Add bay leaf, green cardamoms, cloves and cinnamon. Sauté for a minute. Add the whole garlic cloves and onion paste. Saute till the onion turns golden brown and starts separating the oil. Now add the marinated fish along with all the marinade. Add green chilli, sugar and salt to taste. Cover and cook on low heat for 15 minutes. After some time the magical aroma will tell you that your ‘Doi Machh’ is almost ready. Uncover and check if the fishes are soft and cooked through. Check the consistency of the gravy. If you want it thicker, keep it uncovered on high flame for couple of minutes more. Sprinkle garam masala powder. Remove from heat and keep covered for 5 minutes. Serve hot with white Basmati rice.